Afrivista Tours Stellenbosch South Africa .Wine Tours is our speciality! / General Tour Photo Gallery / Tour Action Photo's / Walking in the Tsitsikamma forest on the Garden Route. 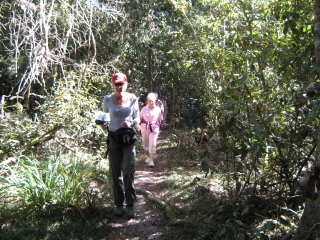 Walking in the Tsitsikamma forest on the Garden Route.